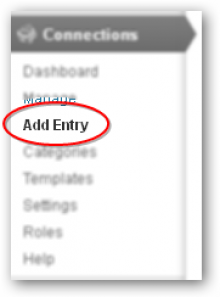 The first step is to head to the Add New section of the Plugins menu in the admin sidebar. Once there, search for Connections. Connections Business Directory will show up in the results, click the Install Now button. Once installed, click the Activate button to have Connections become active on your WordPress site. After activation, you will see the Connections menu items in the admin sidebar on your site. 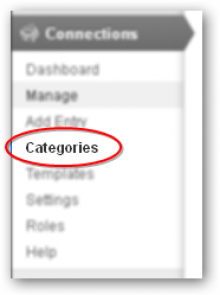 One of the sub menu item will be for the Categories admin page. Click the link to begin. 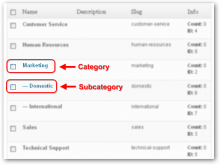 Before proceeding, if you are unfamiliar with using the WordPress Categories for Posts you might want to take a moment to review the basics on adding a category in Connections. We will begin creating our directory by adding categories. 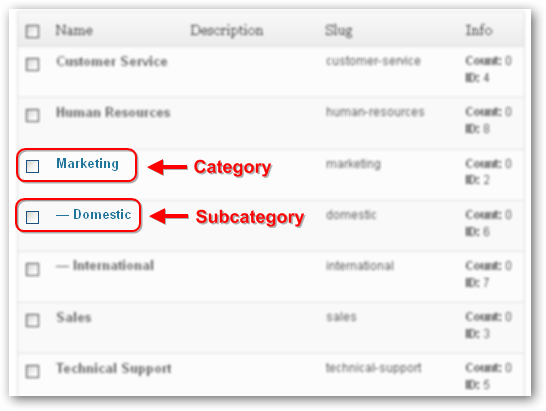 This is a important setup step and you will want to choose your categories with your end result in mind. For a corporation or business directory, for instance, you will want to have separate sections carved out for such groups as Sales, Technical Support, or Marketing. Whereas, a local business directory would contain such examples as Electricians, Restaurants, Jewelers, etc. Now, before jumping right in and adding entries you might want to review the basics on adding an entry. It is recommended that you first choose the Entry Type before adding entry information. Take a moment to choose each Entry Type option. Notice how the Name field changes based on the selected Entry Type. 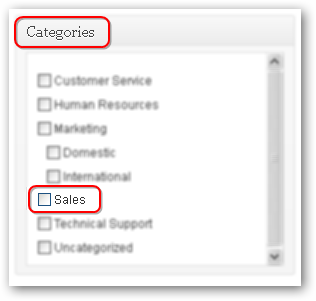 Each Entry Type has its own fields, some of which are required in order to add an entry. If you are creating a staff directory, leave the entry type set as Individual. However, if your are creating a local business directory the Organization Entry Type would be the better choice. 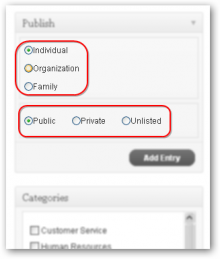 After you choose the Entry type, you should then select the Visibility status. The default is Public, meaning the entry will be visible to your site visitors whether or not they are logged in. Choosing Private will require that the user be logged in in order to view the entry. And choosing Unlisted will only allow users with the Administrator, Authors and Editor roles to view them. 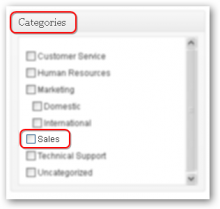 Once you make the two choices discussed above, simply fill in the entry’s information and then choose the categories to which the entry is to be assigned from those you set up earlier. Now that you’ve got your directory all set up and entered, it’s time to take a peek at what you’ve been working toward. Let’s begin by choosing Add New under the Pages menu item in the admin sidebar. Design this page as you would like it. Add in the Title and text you wish to appear above the directory as well. Once all that is in place, you are going to place a “shortcode” into the page that will tell WordPress to go get the Directory you created and place it at that point on the page. 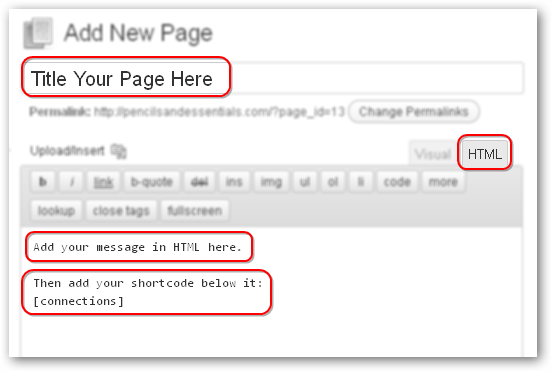 That is the Connections shortcode (in its simplest form) that instructs WordPress to retrieve your directory and place it on the page. From there it is just a matter of choosing “Publish” and viewing your results. Your site is now the proud owner of a new directory brought to you by Connections.